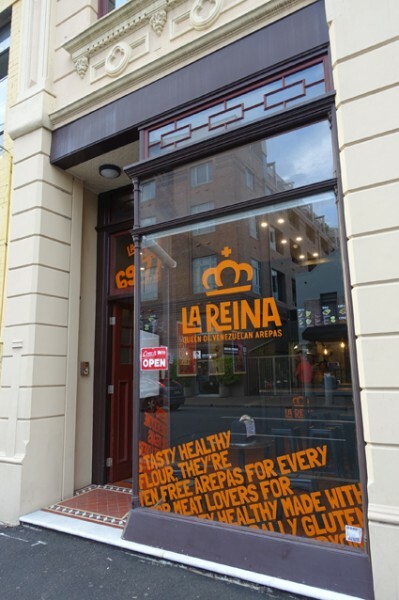 Review - La Reina: Queen of Venezuelan Arepas - Does My Bomb Look Big In This? 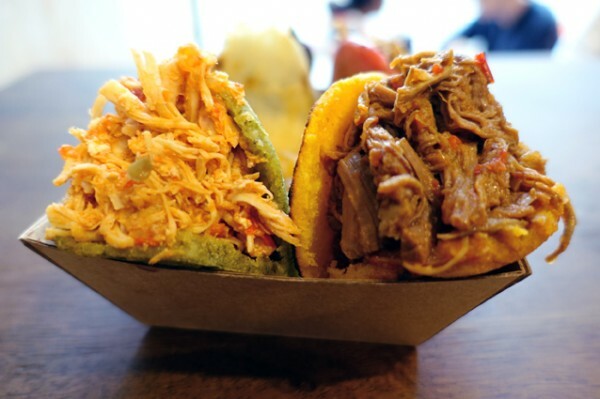 Arepas are what Venezuelans eat where you might eat a sandwich or toast. Ybrahim Camero has been trying to popularise these white corn tortillas here in Australia, starting with a market stall at Glebe Markets. The crunchy-edged pancakes proved a hit. On his first day at Glebe Markets, Camero thought he’d sell ninety arepas. 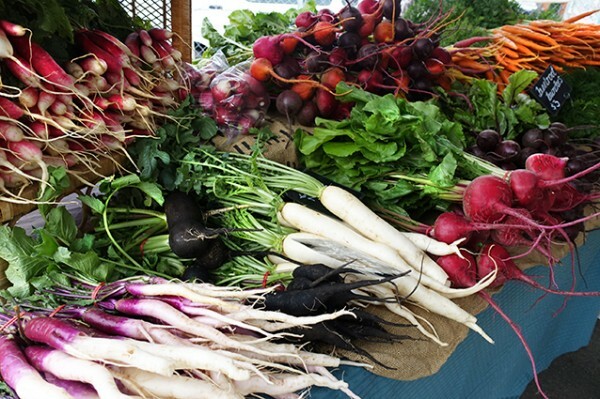 He brought one hundred, but managed to sell one hundred and forty! 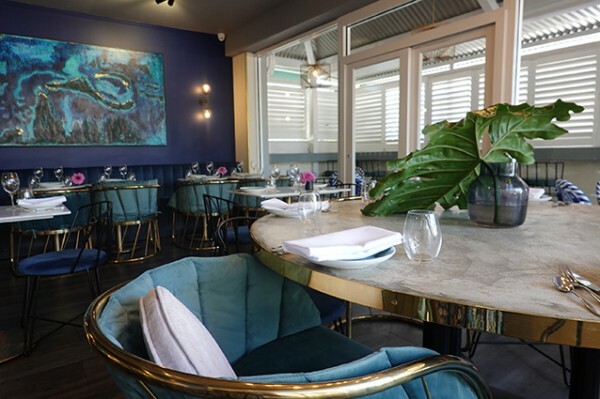 Over the past year and a half of doing market stalls and festivals, Camero has learned a lot about how Australians like to eat. 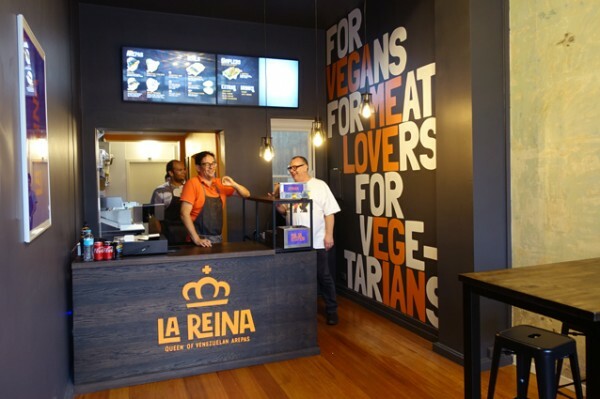 He has brought that knowledge to bear in his first bricks and mortar store, La Reina: Queen of Venezuelan Arepas, located in a heritage-listed building at the City Road end of King Street, Newtown. 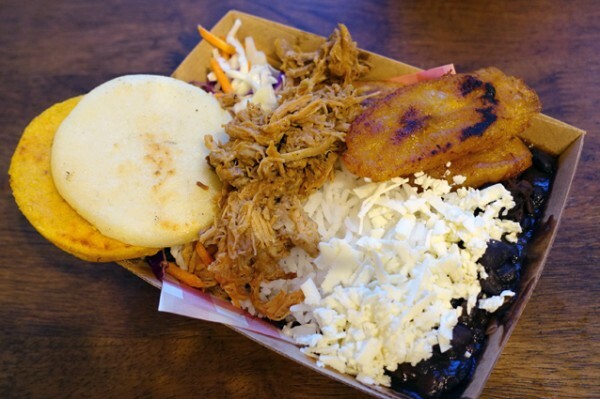 “Normally an arepa is white. 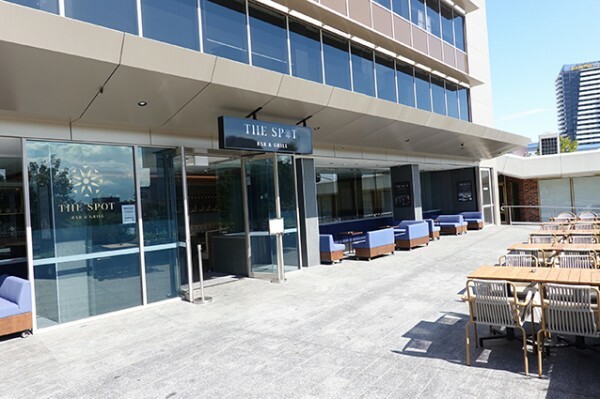 We designed the arepitas to look bright and colourful, like an Australian BBQ,” said Camero. 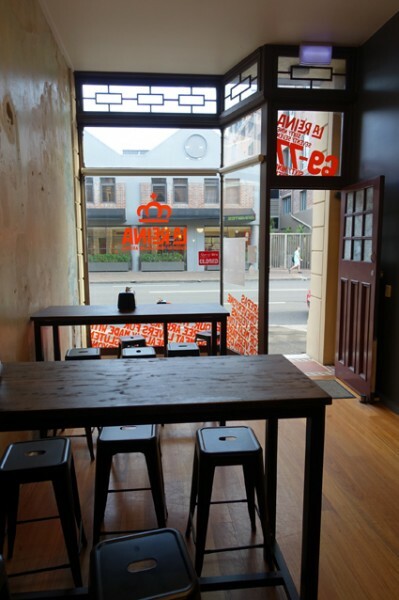 While keeping the heart of the Venezuelan dish, Camero has added beetroot juice, carrot juice, and kale and coriander to make brightly coloured arepitas for his Sampler Pack ($15/4). 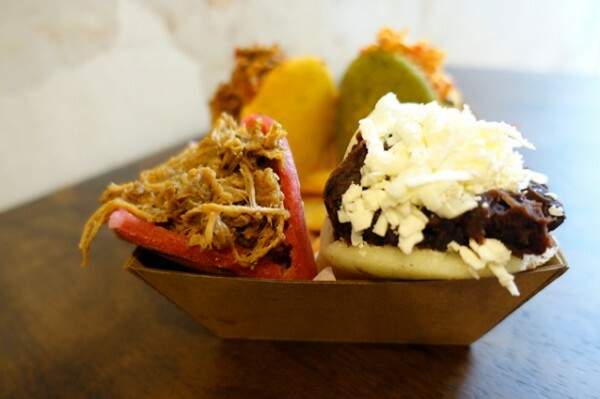 Arepitas are smaller arepas, like sliders, and this sampler pack is great if you’re feeling indecisive about which filling to choose. 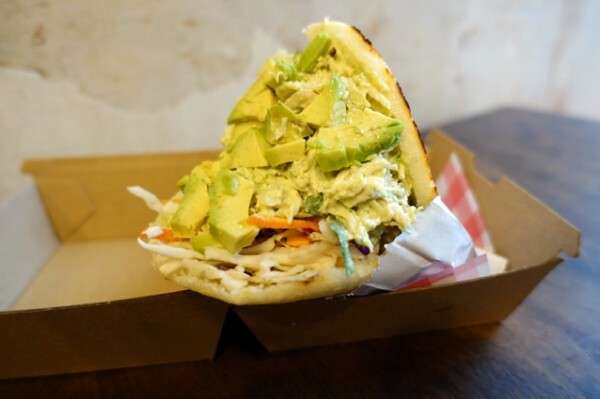 It includes a plain white arepa with creamy black beans and white salty cheese, and a juicy chicken in a green coloured arepa with kale and coriander. 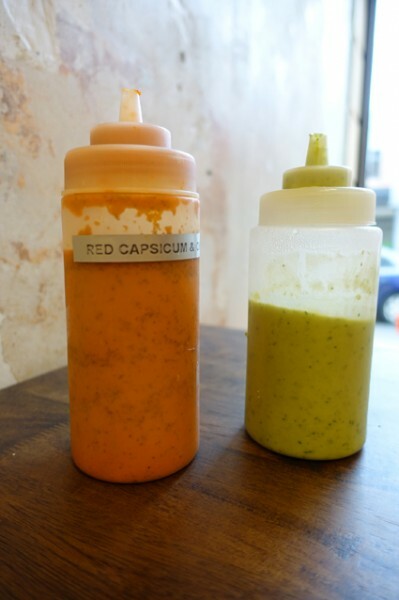 The carrot coloured arepa is filled with slow-cooked shredded beef, made to Camero's Mother’s recipe. 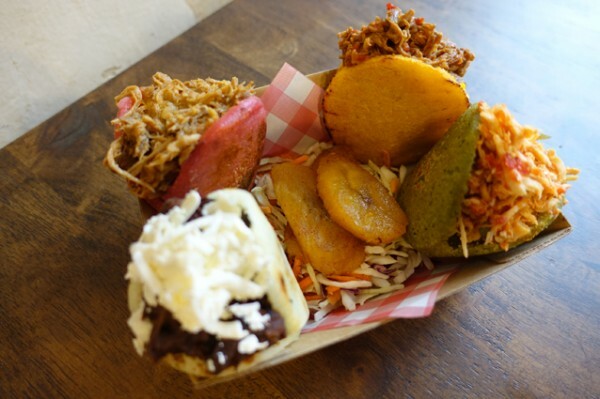 My favourite is the earthy pink beetroot arepa stuffed with pulled pork. With a touch of sweetness the pulled pork goes down best with the on-table capsicum sauce, interspersed with bites of sweet fried plantain. You’ll also find coleslaw for crunch, though be warned, it has been deliberately left undressed so it doesn’t compete with the dish’s subtle flavours. This probably explains why the Pabellon ($13.50) is Venezuela’s national dish. It's meant to represent all the races that inhabit Venezuala, from black beans representing Africans, to the salty white cheese representing Spaniards, and the indigenous peoples represented by plantain and shredded beef. It’s a tasty mouthful, and easily the best thing I tried at La Reina. 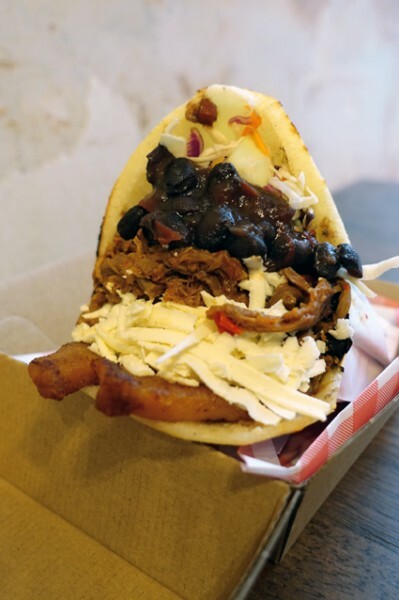 Due to us Aussies being a bit precious, and baulking at eating arepas in the hand-to-mouth way they're meant to be eaten, Camero also presents the same ingredients in a Pabellon Bowl ($14.50). What I liked about the bowl (beyond it not dripping down my arms) was that I got to taste plain white arepas by themselves, and really enjoy the cornmeal flavour. I can see why this bowl is La Reina’s best seller (along with the colourful slider-style arepitas) at their market stalls, but there's something to be said for eating a dish the way it was actually intended... well except for adding hot sauce.